Every Thursday, Tracy posts a fancy snack (here is one of my favorites), and on a recent Thursday, I realized that, duh, I can fancy up my own trips to the pantry. 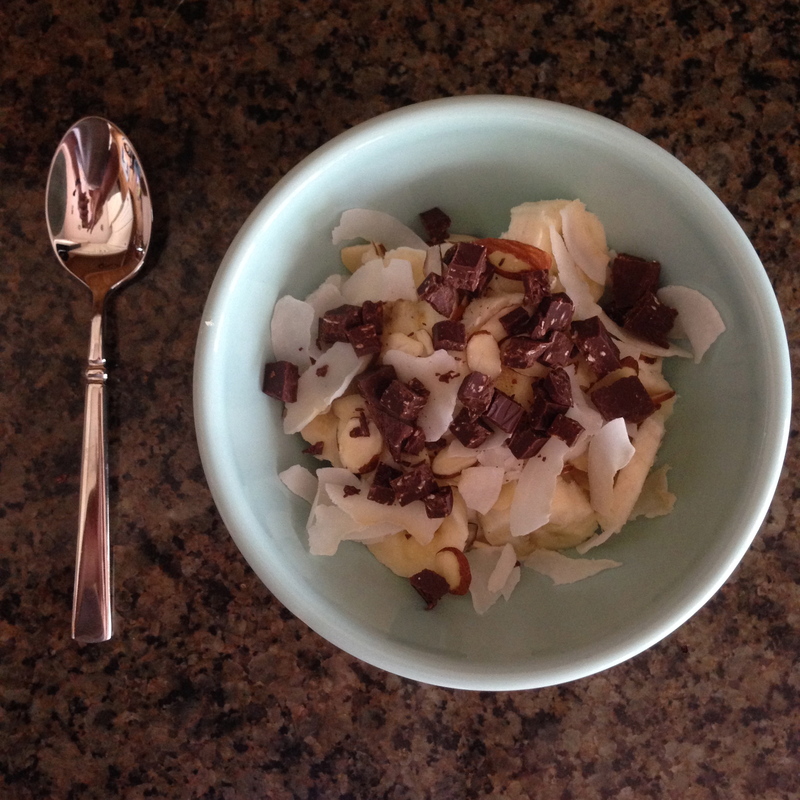 Inspired by my favorite Chobani flip flavor, Almond Coco-Loco, I created a little yogurt bowl that I cannot get enough of. Since the first bowl I mixed, I’ve been eating this any time hunger strikes, and it always hits the spot. 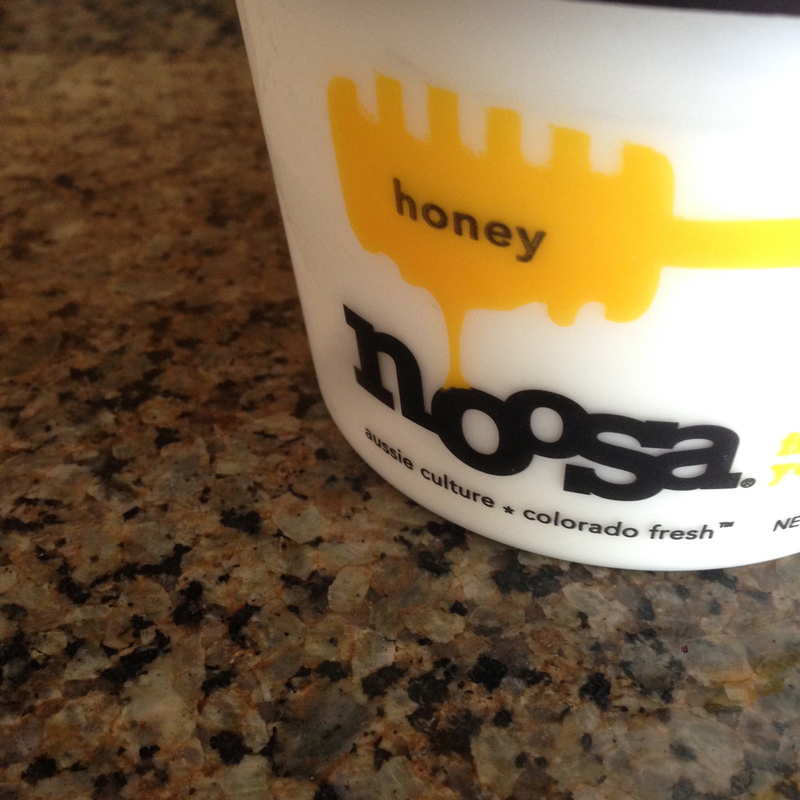 Have you had Noosa yogurt? Seriously amazing. Spoon some of your favorite flavor yogurt in a bowl. Slice a banana on top. 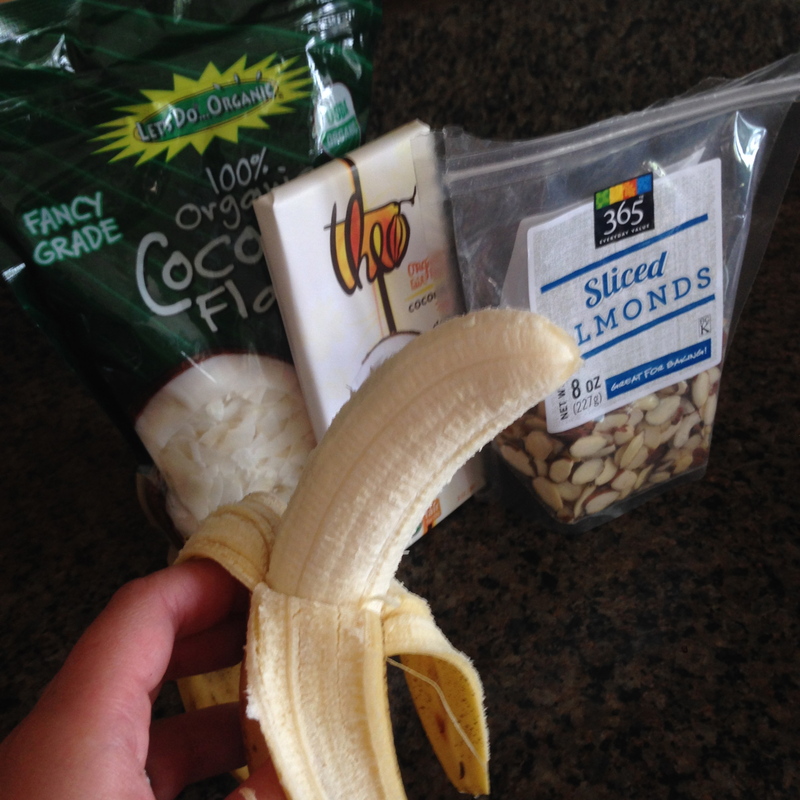 Add about a tablespoon of sliced almonds, and a tablespoon of coconut (I almost always use unsweetened). Break a square off your favorite dark chocolate bar, and chop chocolate into small pieces. Add to yogurt. Mix everything together, and dig in. Obviously, this isn’t a strict recipe. You could double (triple!) the chocolate, sub out a different kind of nut for something crunchy you like, or add something you can’t believe I forgot. But what I love about this particular combination is that each bite of yogurt contains a little bit of all your mix-ins. This entry was posted in EATING, sweets and tagged easy peasy, make it yourself, tracy shutterbean. Bookmark the permalink. This might be my new breakfast.